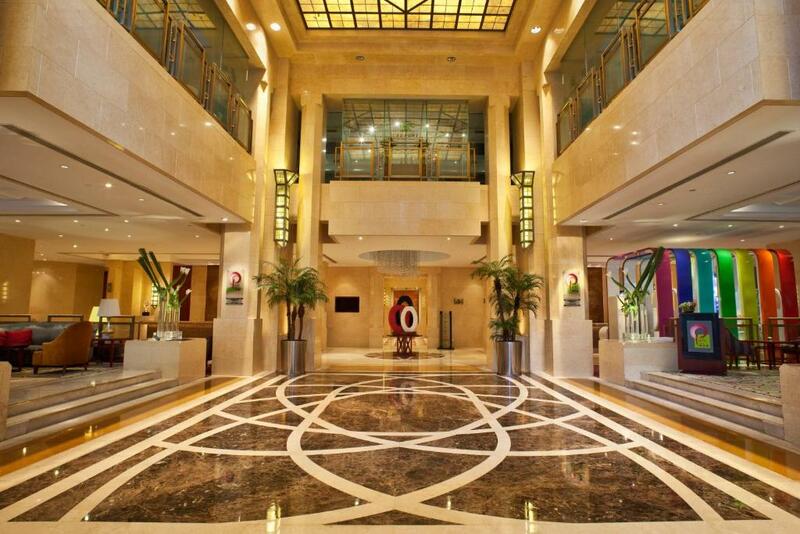 Lock in a great price for Crowne Plaza Century Park Shanghai – rated 8.3 by recent guests! 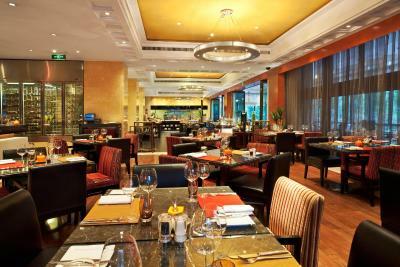 The complimentary breakfast was great and the close proximity to the #2 Metro Line! No Pool, No Business Center , no Club all Shut Down. 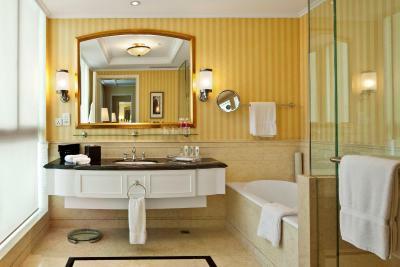 I liked the spacious bathrooms, and the room designs. 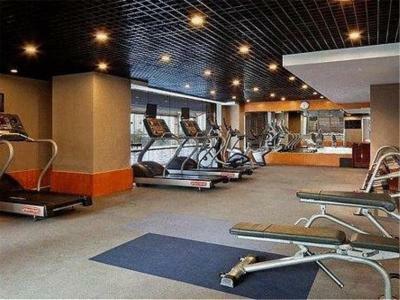 Good wifi, excellent breakfast, good workout room. Service was great! Pool area was better than average. Rooms were clean and nice. Overall, great 4-star experience. The service was outstanding! The club lounge is nice and buffet breakfast was better than we expected. This hotel gives you a great experience for the cost. The lobby manager (?) Jerry has been really welcoming and helpful. He remembers my name every time I stay here which makes me feel like home. He cares about each guest's requests and help them as a friend would do. Swimming pool is a relaxing spot during busy trips. I went in with my wife on a two day trip to shanghai, the location is a little off from downtown, but that it makes up with the area where the property is located at. Staff very generous, room bigger than most in shanghai, best thing they have over 6 variety of pillows to choose from. Breakfast was excellent, room size was big enough and the desk helped with work. One of our best sellers in Shanghai! 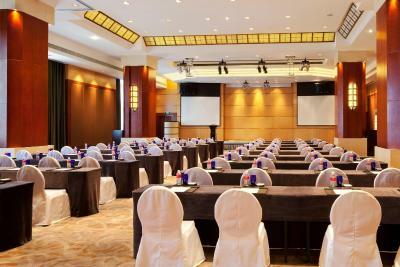 Crowne Plaza Century Park Shanghai is located in Pudong Area, a 5-minute drive from Shanghai New International Expo Center. It is only a 30-minute drive from Shanghai Disneyland. 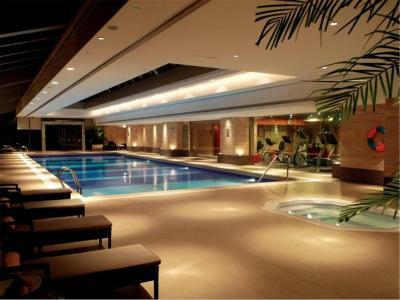 The hotel offers an indoor pool, 2 restaurants and a spa. Additionally, free WiFi is available in all areas. 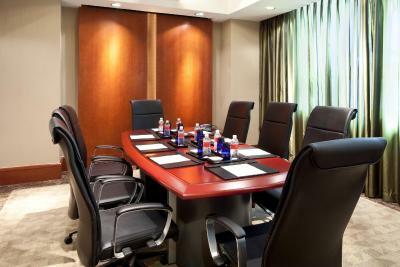 Century Park Crowne Plaza is an 8-minute walk from Middle Yanggao Road Station (line 9) and a 15-minute drive from Shanghai Science & Technology Museum Station (line 2). It is a 15-minute drive from Longyang Road Meglav Station and a 45-minute drive from Shanghai Pudong International Airport. Other attractions close to the hotel include Shanghai Pudong Exhibition Hall, Science and Technology Museum and the Oriental Art Center. Boasting luxurious décor and elegant furnishings, rooms at the Crowne Plaza Shanghai feature marble bathrooms and panoramic views of the city. Each has a flat-screen satellite TV and mini-bar. A personal safe and tea/coffee making facilities are also included. Spring Spa features relaxing massage therapies, as well as a sauna and a hot tub. 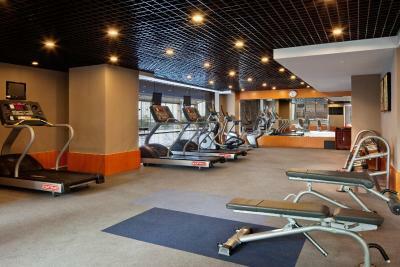 Guests can maintain their daily workout at the fitness center. 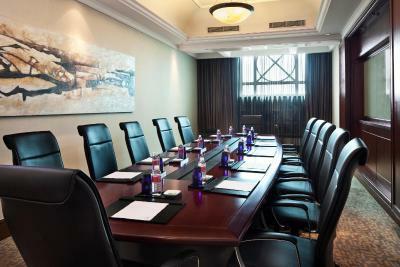 Secretarial services are available at the business center. 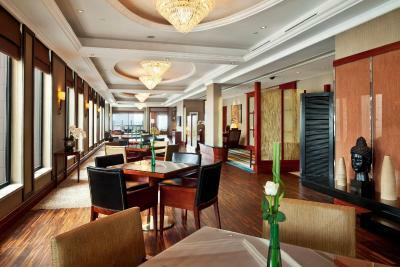 The Heji Chinese Restaurant serves authentic Shanghai cuisine, while the Park Café offers an all-day international buffet. 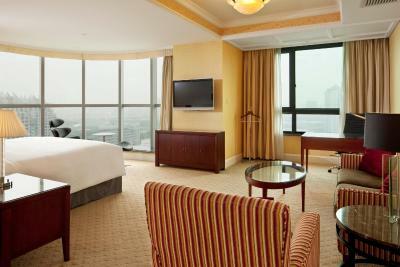 When would you like to stay at Crowne Plaza Century Park Shanghai? Floor-to-ceiling windows present beautiful views of the park or city. Features city views, free internet and Club benefits including free cocktail hour and dinner snacks. Featuring champagne-colored décor and comfortable Egyptian linens, this spacious room has a flat-screen TV, minibar and tea/coffee making facilities. The marble bathroom has a separate bathtub and shower. Features a separate lounge area. Experience fine service at the boutique-style Crowne Plaza Shanghai Century Park hotel, minutes from the city's beating commercial heart. 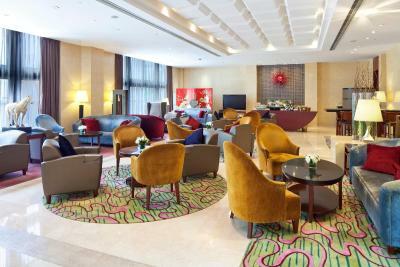 On your arrival at Crowne Plaza Century Park Shanghai, our welcoming Lobby staff will meet, greet and show you around our sociable public spaces. Head to the Front Desk for the key to your sophisticated room, or upgrade for access to the top-floor Club Lounge, offering private check-in and cocktails. From here you can relish panoramic views over Pudong's futuristic skyline, or head back to ground level for an 8-minute stroll to Century Park. 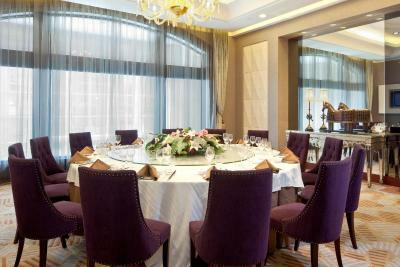 Crowne Plaza Century Park Shanghai is 30 minutes by taxi from Shanghai Pudong International Airport. 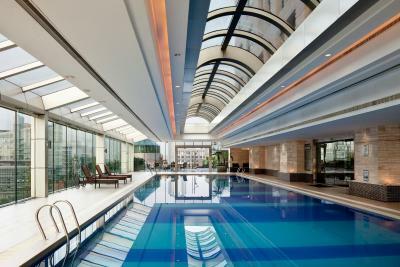 We nestle between an affluent residential area and the super-skyscrapers that dominate Lujiazui Finance and Trade Zone. The enormous Shanghai New International Expo Centre is 3km away. 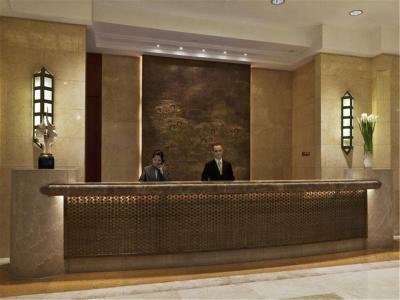 House Rules Crowne Plaza Century Park Shanghai takes special requests – add in the next step! 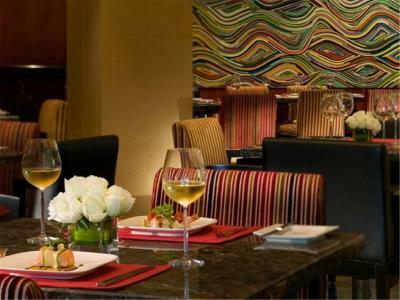 Greatwall Peony Dragon Pacific Jin Crowne Plaza Century Park Shanghai accepts these cards and reserves the right to temporarily hold an amount prior to arrival. Crowne Plaza Century Park Shanghai accepts these cards and reserves the right to temporarily hold an amount prior to arrival. Toilet kept blocking up and flooded the bathroom floor. Booked a room with a double bed but got a single bed instead. Good rooms, clean but a little outdated. Decent location. The concierge was very helpful in arranging rides and providing guidance regarding our interest and could understand English fairly well. How bad this hotel made our other accomadations look! Good service! Very good breakfast and comfortable and clean room , will come back again ! Small but cozy room, very good breakfast and kind personnel. The wifi was a little spotty but other than that it was a great place to stay and I would come again. 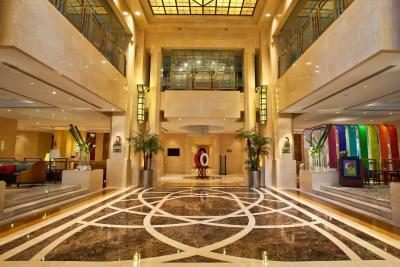 The hotel has a certain solid quality feel to it both inside the rooms and in the lobby. 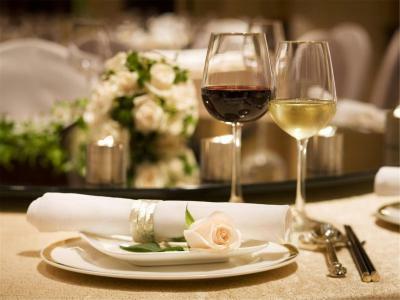 It is old-world charm and solidity in a modern package. The staff were attentive but not overbearing. The concierge was especially helpful without being asked when I had a lot of bags to manage. 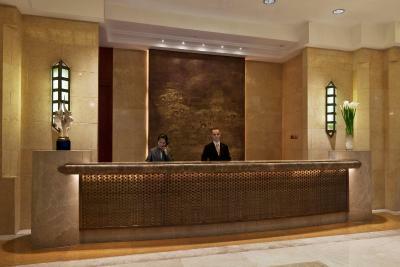 The lobby is conducive to relaxing and intimate conversation. The location is excellent with everything you need on the doorstep. I would recommend staying here for the understated elegance and good service. I dont like the room service food. I think standard wise, its below bar for a 5 star. More like street food in terms of presentation. I also dont like that a lot of websites cannot be access by wifi, even some live soccer sites since there is no live soccer channels in the hotel. I like the location, cleanliness and the little thoughts put into each room to make guest feel comfy and to know what the staffs are ready to serve. The staff at reception just debited my friend's credit card without even asking her is she preferred to pay cash or credit. Then they could find my reservation even though I had my confirmation mail. They offered us free drinks until they could sort out my room and offered my friend late checkout. Location was great. Facilities were lovely. 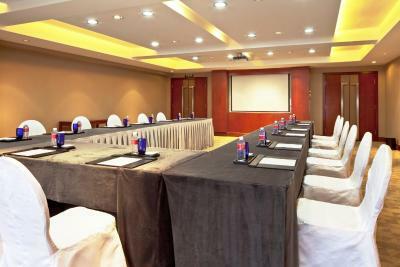 The area was a business area but this isn't helpful unless all your meetings are in this area only. At the weekend the area wasn't good at all so we had to get the metro to the other side of the river. The rooms looked a little old and in need of a bit of a refresh. Be aware if you ask the concierge for a taxi he will suggest he get an uber for you. This was very expensive and we felt he may have added to the price largely. Insist on a local meter taxi. Lovely room, fairly spacious and comfortable. Staff were very nice. Very good hotel. Breakfast was great, but roomservice was poor. Except from that, the stay was superb. Great service and especially the handwritten note from my housekeeper was a nice touch.